I finally got the full collection for both of the Machine Nest base station (Series 1 & 2). 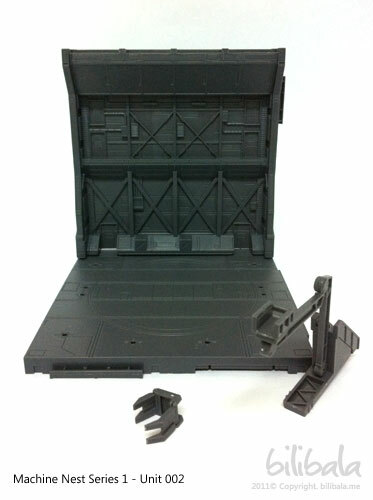 I have reviewed 2 individual units for the Machine Nest earlier (see the Series 1 – 001 and Series 2 – 005) . 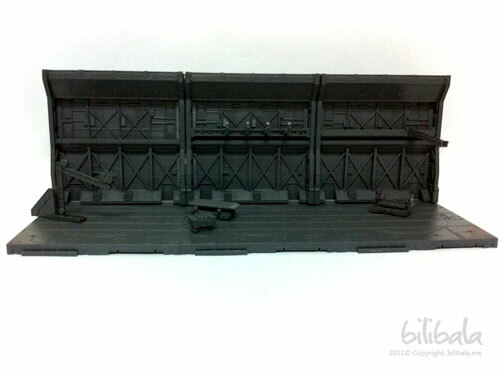 What you already seen in previous toy reviews, the background is the result of the full collection of the Machine Nest itself. 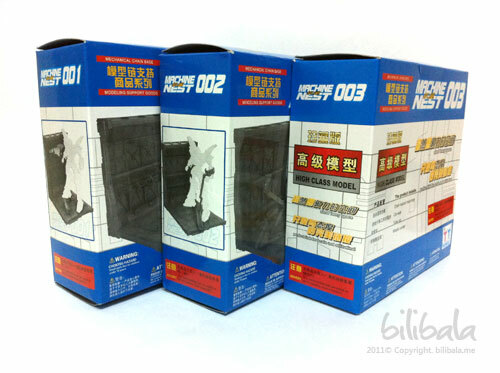 The Machine Nest Series 1 consists of 3 units (No 001 to No. 003) . All sharing the same design for the floor and wall set. The only different is the props that come with the different unit. Let’s move on to the individual units! I have previously done a review on this particular unit. You can read the full review here. I will just do a brief recap here anyhow. 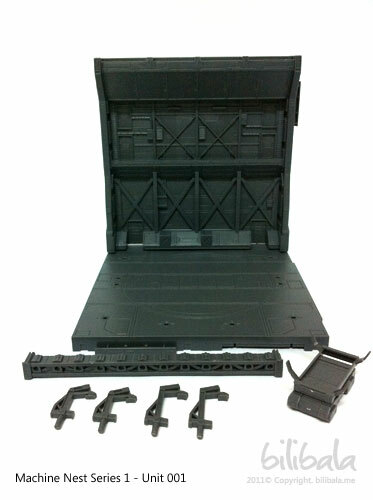 The base comes with 2 main props: a gun hanger (with 2 sets of different sizes handles which comes also in pair) + the gun hanger holder itself which it is used to attached to the wall; a container transporter which you can put plastic box (from unit 005) on top of it. A close up of how the props are in place with the base station. This is a new unit to my Machine Nest collection. As mentioned above, both the wall and floor for the base station is the same. The only different is the props that come with it. 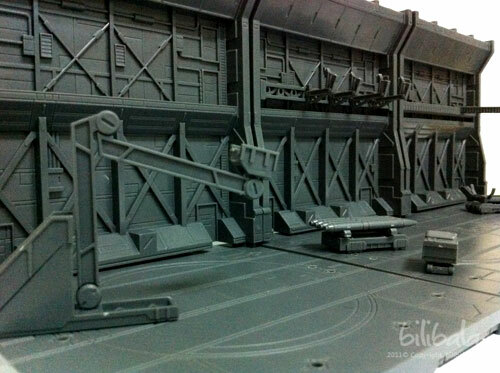 The prop for this unit is a pilot stairs/mechanical hand station. It can be either by swapping the tip of the prop station with the respective components. 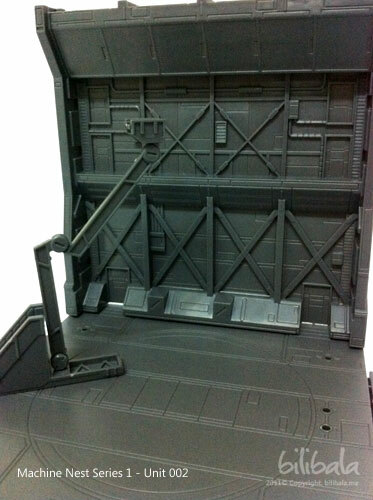 You can always position the prop station in any of the predefined holes located in the floor unit. The prop station is actually an extend-able mechanical arm which you can move the arm forwards/backwards, upwards and downwards for it. You can see it clearly in the picture below. 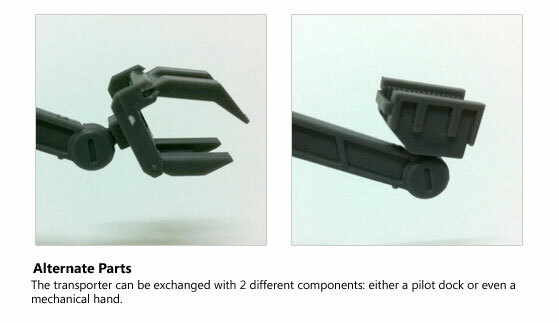 Here you can see the different between the 2 prop heads for the prop station: a mechanical arm and a pilot dock which you can switch between them. 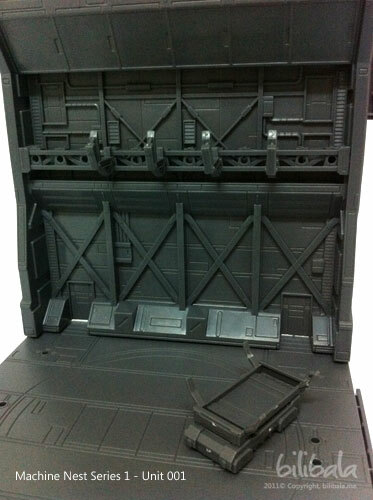 The last unit comes with more props: A missile transporter, a pilot pathway (which will be used to attached to the wall) and a “tube” transporter. 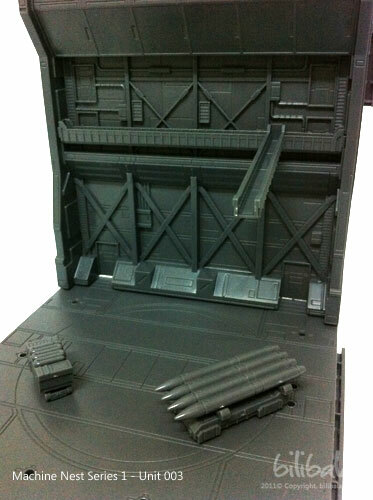 The “tube” transporter is a transporter with a fixed tube cargo on top of it, you can’t use it for putting other box like in series 001. 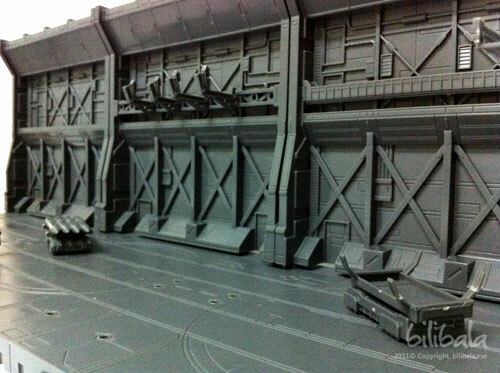 The missile transporter also has a fixed prop of missile cargo. This is how the props are in place with the base station. The pilot pathway can fit in nicely with any gundam small human figures but i have yet to try it with my Starwars 1 inch figure. I guess it would be quite difficult to fit in judging from the size of the pathway itself. Too bad. Here’s the fun part. All the individual units can actually be combined together. The floor unit can be combined by connecting 2 or more units together. The wall unit as well, can be combined either horizontal or even stack them up vertically. The followings are sample how i combine the station together. You can see that i have stacked 2 wall unit together while connecting 3 floor unit together. Notice that the floor unit can be connected at any sides. This is how it looks like by combining everything horizontally. The individual base are measure in 15cm (width) x 16cm (height – added 1cm when it is being stack up onto the floor unit) x 15cm (length) . 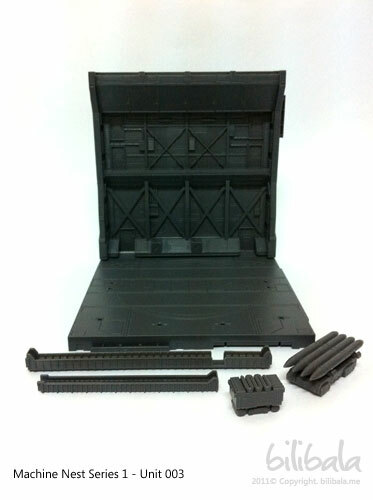 When combined together the 3 bases together horizontal, the overall width can goes up to 45cm. Basically, it is quite sufficient to have 3 base units for the combination. 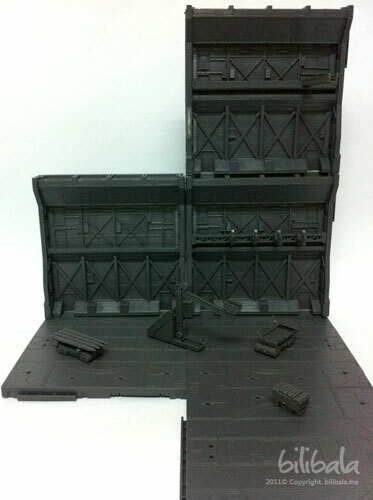 But in case you wanted to do a vertical shots, it is better to have the 4th unit (of any 001 to 003) in order to make up a big square wall or floor. As you can see from the picture above (machineNest_05.jpg), you will see a blank spot on the wall with only 3 units. So, it is advisable to have even numbers of the wall/floor unit to make it complete. And one more thing to note that, you can’t stack Series 1 wall (001-003) with Series 2 wall (004-006). However, you can connect the floor unit for both the separate series together in a limited way, i.e. not all sides can be connected. Will do more review on this in the future for the Machine Nest Series 2.